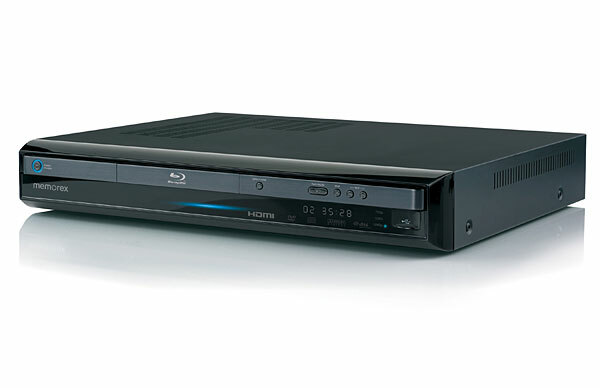 Memorex has introduced a Blu-ray player for under $300. The MVBD-2510 will retail for $269, and feature everything you need in a BD player including 1080p resolution, 24p and 60p fps, Bonus View 1.1, and 7.1 HDMI digital audio output. The Memorex MVBD-2510 Blu-ray player will be available in November. “We have introduced a Blu-ray Disc player that offers consumers the full high-definition viewing experience, but at a price that almost anyone can afford,” said Carla Pihowich, Memorex brand director, Imation Corp. Supported audio formats of the MVBD-2510 include Dolby TrueHD, Dolby Digital Plus, and DTS-HD High Resolution Audio decoding and bit stream output, and Master Audio bit stream output. As mentioned above the player supports 7.1 HDMI digital audio output as well as 5.1 analog audio output. Previous Previous post: Have you got your DTV converter box yet?